I can’t work without music playing in the background of my home office. I seem to get so much more done when I have my favourite playlists pumping out of my speakers. 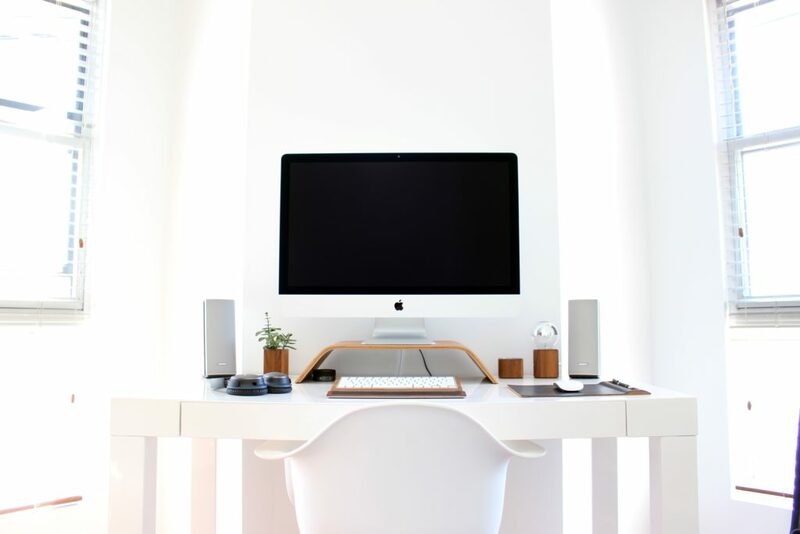 Like many other people who work from home, having the right sound set up in your home office or studio can enhance your productivity and enjoyment of working from home. Bluetooth speakers are small, convenient and affordable. They require far less space than a standard speaker and can be transported almost anywhere. Many modern devices come with built-in speakers, but they don’t perform nearly as well as we would like. Since Bluetooth speakers are standalone devices, they offer better sound quality than their built-in counterparts. If you’re looking for a high-quality Bluetooth speaker for your home office or studio, there are plenty of products to choose from. In fact, you might even feel slightly intimidated by the vast selection. Fortunately, once you know what to look for, it will be much easier for you to find the best Bluetooth speaker for your needs. 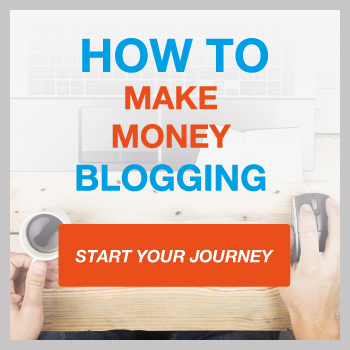 Your home office is a place where you can relax and get some work done. It’s also a place that tends to be one of the smaller areas of your home. 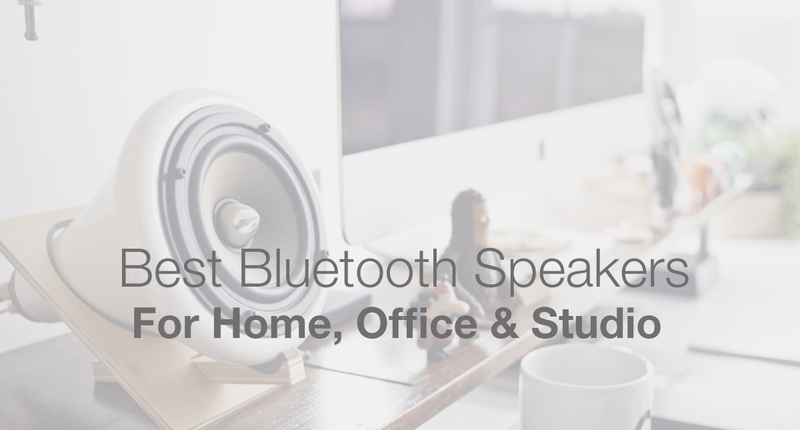 Since there is a good chance that your office doesn’t have a lot of space, a Bluetooth speaker is a great alternative to a traditional stereo system. Most people prefer to keep their stereo system inside of the living room or garage. The compact size of a Bluetooth speaker makes it possible to listen to your favorite music inside of your home office or studio, and it’s small enough to place on a computer desk. When listening to music in an office or studio, most people don’t want the loudness produced by a large stereo system. Computer speakers aren’t nearly as loud as a dedicated stereo system, but they might have trouble producing the level of sound quality that you can get from a Bluetooth speaker. You might not even need two speakers, and since the Bluetooth speaker is a single product, it costs less money than the alternatives. It can give you gentle sound and allow to listen to your favorite music, and you can keep the volume low enough to avoid disturbing other people in your home or studio. Who Should Buy a Portable Bluetooth Speaker? If you own a tablet or smartphone, then there is a good chance that you enjoy listening to music. The problem with these devices is that they’re not designed to produce high-quality sound. In fact, the speakers that are built into most small devices leave much to be desired. A Bluetooth speaker is a great product for anyone who owns a small device, and it can deliver sound quality that is good enough for Internet radio, podcasts and casual music. Since portable Bluetooth speakers have a rechargeable battery, they can be transported and used almost anywhere. Some people take their Bluetooth speaker to the beach while others prefer to enjoy it at the park. A studio or home office are some of the best places to enjoy the exceptional sound quality produced by a modern Bluetooth speaker. Almost every new smartphone comes with Bluetooth technology, which lets you stream sound wirelessly. Once you have a speaker, you can sync it with your favorite device and listen to music at a distance of about 30 feet. Depending on the speaker, the range might be longer or shorter. If you enjoy listening to music and own a smartphone or similar device, you can benefit from owning a portable Bluetooth speaker. When shopping for the best Bluetooth speaker for your needs, you have several considerations to make. One of the most important features to consider is range. It’s quite common for consumers to make the mistake of purchasing a Bluetooth speaker that doesn’t offer much range. The placement of the speaker is also very important. Several of the newest products offer a signal range between 100 to 150 feet. There are some products that will send a signal up to 200 feet, but the signal strength is affected by obstacles, so even if a product advertises a range of 200 feet, it’s unlikely that it will actually work 200 feet away from the source. It’s not uncommon for some Bluetooth speakers to be advertised as being able to play stereo sound. When a music track is recorded a certain way, you can hear sound from different instruments coming out of different speakers. Unfortunately, stereo sound doesn’t always transmit well through a speaker that uses Bluetooth because they usually have only a single driver. For the speaker to produce stereo sound, it must have at least two drivers, and you’ll find that many portable speakers have only one driver. When shopping for a Bluetooth speaker, you’ll notice that most brands advertise the Bluetooth version that is used by the product. Today, the very first version is almost never used, but you can still find many speakers that run on version 2.1. Due to the benefits, most modern speakers use Bluetooth version 4.0. It’s important to understand that different versions are for different purposes. For example, most fitness trackers use 4.0 because it allows for data collection. Devices that just need to transmit music can work well with version 2.1. A higher version number doesn’t always mean it’s better. However, version 2.1 offers significantly faster streaming than the previous version. Battery life is another important feature to consider. If you’re planning to use your speaker inside of a home office, you should still pay close attention to the battery life. You never know when you’ll want to take the speaker with you and listen to music away from your home or studio. If your primary purpose for your speaker is to use it around the house, then a battery life of four to five hours should be sufficient. For camping trips, you’ll want a longer battery life. Not all Bluetooth speakers use a battery, which is why it’s important to consider the power source. Many of the newest speakers can be plugged into a standard electrical outlet, but there are other models that use batteries. Some speakers must be charged with a USB charging cable, so they can be plugged into a computer. Since the whole point of owning a Bluetooth speaker is to listen to audio, the sound quality that it produces is very important. A lot of people assume that a higher price equates to better sound quality. In many cases, a higher price point does indicate better sound, but it’s not a good idea to assume that this is always true. There are some speakers that are engineered for bass while others are optimized for treble. Unfortunately, you can’t test a speaker before you buy it, so you must pay attention to the product description and find out if it’s primarily designed for bass or treble. A lot of people purchase a Bluetooth speaker and use it at home. Despite its compact size, the sound quality from the speaker might surprise you. A modern Bluetooth speaker serves as an excellent way to get rid of that old bookshelf stereo. If you want the best speaker for your home or studio, make sure to check the wattage output. A speaker with a higher wattage is capable of filling larger rooms with sound. You should also consider getting a speaker that comes with two audio drivers, which will keep the sound quality high when the volume is turned up. It’s worth mentioning that some speakers can be linked together and will deliver a surround sound effect. When you get tired of using your speaker in your home office, you can take it outdoors or turn it on in the shower. Below, you’ll find a table and reviews for some of the best Bluetooth speakers available, and by choosing one of the products from the list, you can save time and money. Up to 10 hours of playback from a full charge. 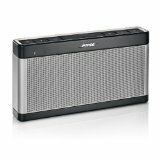 Bose is a well-known company and produces some of the best portable speakers on the market. The Bose SoundLink Bluetooth Speaker III is our top pick because it offers excellent value for the money and delivers exceptional sound quality. 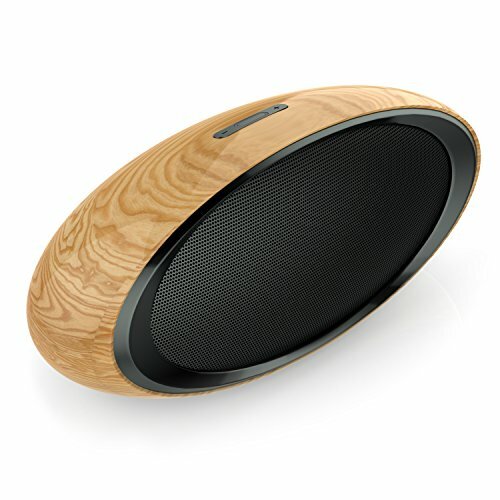 You can connect this speaker to your wireless device and use it to play your favorite music. It works with tablets, smartphones and Bluetooth devices. When compared with most competing products, this speaker offers sound performance that is in an entirely different league. Although it’s designed to be compact and versatile, the Bose SoundLink Bluetooth Speaker III doesn’t make any compromises. It offers great portability and has a thin profile. A silicone button panel protects against dust and dirt, and since it has a rechargeable battery, this Bluetooth speaker can play audio for up to 14 hours on a single charge. If you’re looking for a speaker that has a voice command feature, then this product is worth considering. 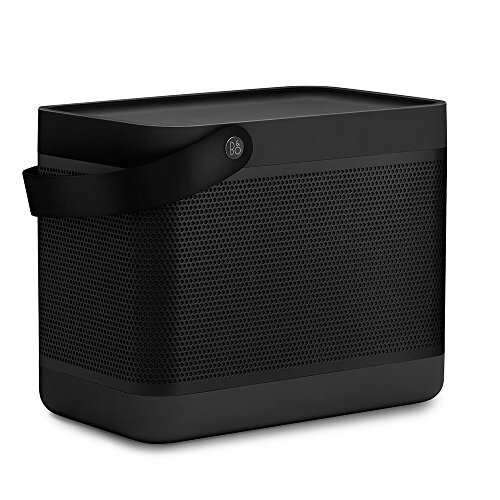 Since it’s a wireless speaker, you can use it on your office desk or take it on a camping trip. It uses a five-watt driver to deliver crisp sound quality, and for deep, rich sound, it uses a passive radiator. With a connection range of about 30 feet, you shouldn’t have too much trouble using this speaker around the house. It’s compatible with all Bluetooth devices, which lets you connect to any device that you own. The SoundPal Cube F1 can play sound from your laptop, desktop, tablet or smartphone, and for devices that aren’t equipped with Bluetooth, it has a 3.5mm audio jack. With the built-in rechargeable battery, you can get up to eight hours of play time. When you need to make calls while driving, you can use the handy voice command feature and built-in microphone. 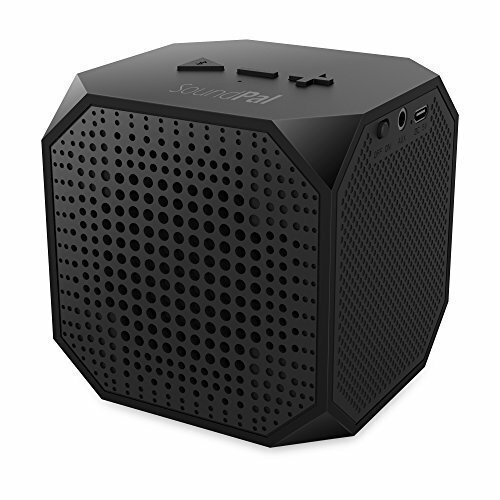 The SoundPal Cube F1 lets you listen to your favorite audio while on the go, but it’s also a great product to use in an office or studio. One of the smartest Bluetooth speakers available is the Amazon Echo, and it can play your favorite tracks from Pandora, Spotify and Amazon Music. You can control the entire device using nothing but your voice. With its 360-degree omni-directional radio, it’s capable of filling a room with immersive sound. You can use the Amazon Echo’s voice control to make the device do what you need it to do. Since the Amazon Echo has far-field voice recognition, it can hear your voice from the other side of a large room, and it even listens while playing music. Some have called the Amazon Echo a smart speaker, and it’s capable of answering questions, reporting traffic, reading audiobooks and delivering information about local businesses. You can even use the Amazon Echo to gets the latest sports scores. If you decide to connect the speaker to Nest, you can use it to control thermostats, switches and lights. 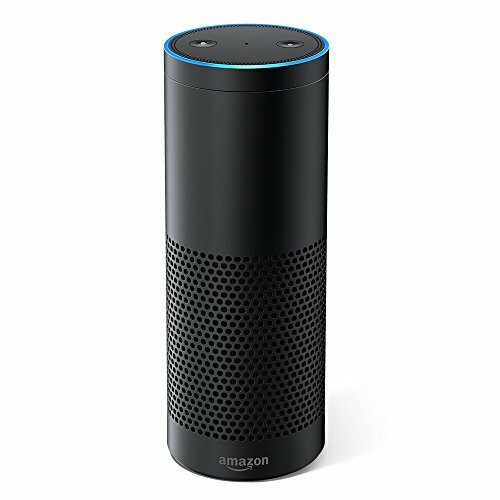 Many consumers would agree that the Amazon Echo is the best voice command Bluetooth speaker available. 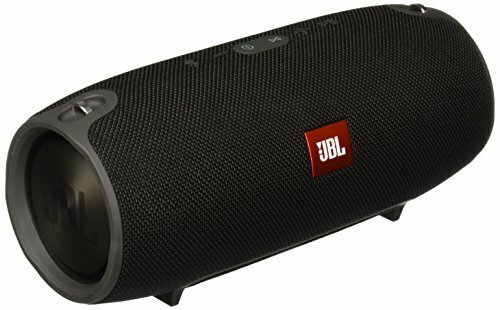 If you’re looking for the best Bluetooth speakers that money can buy, the JBL Xtreme is worth considering. The sound quality transmitted by this device is good enough to make you see, feel and hear the bass. It has dual external passive radiators, which help to demonstrate the power of the speaker. 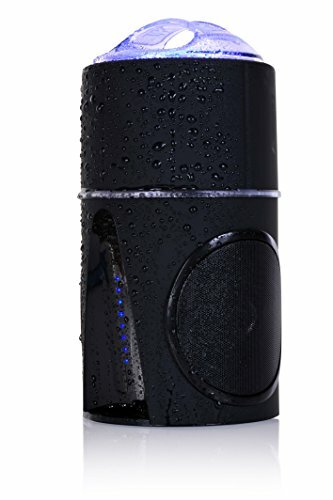 Since this is a splash-proof speaker, it won’t break when exposed to spills or rain. In fact, it can be cleaned under running tap water. However, it’s not entirely waterproof, so you should never completely submerge it under water. The JBL Xtreme can be used to take calls, and with the touch of a button, you can activate the noise-cancelling speakerphone. It has a built-in rechargeable battery, which offers up to 15 hours of play time on a single charge. 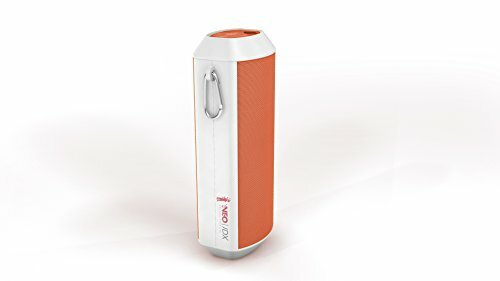 The JBL Xtreme can be charged with dual USB ports, and it can be wirelessly connected to three different tablets or smartphones. If you’re looking for superior sound and want one of the best Bluetooth speakers that money can buy, consider getting this product. Here we have another top product, and it’s reserved for consumers who have plenty of money to spend. Despite the compact size, this speaker produces more than enough sound to fill an entire room. When you don’t want to disturb others, the volume can go low enough to satisfy your craving for high-quality sound, and once everyone leaves, you can crank the volume up and enjoy superior sound performance. This speaker is one of the best that money can buy, and with its True360 Sound, it will have no trouble filling your home office or studio with sound. On a full charge, the battery delivers 24 hours of sound, and you get to enjoy the Bang & Olufsen signature sound. Every aspect of this speaker is crafted from premium materials, and for portability, it has a built-in leather strap. Bluetooth connectivity allows you to connect this speaker to your favorite devices, and it even gives you access to social sharing. The B&O PLAY delivers 240 watts of peak power, which is enough power to rock your home office. The TRAKK Glow offers bold looks and great Bluetooth 4.0 performance. With 20 watts of power, it has no trouble delivering a level of sound quality that is superior to what you’d get from the built-in speakers on your tablet or smartphone. With its IPX5 waterproof rating, the TRAKK Glow is a great speaker for managing the elements if travelling. The app enabled LED lights are great when camping, particularly with the insect light setting, which is good for keeping insects away. This speaker has incredible bass for its size, and after a full charge the battery is good for 10 hours. It even has a power pack to charge USB devices. The TRAKK Glow also has a 3.5mm aux input, which is great for those times when you don’t have access to a Bluetooth connection. If you’re looking for one of the best Bluetooth speakers under $200, this product is worth considering. The Bose SoundLink is a popular product, and it offers the clear, full-range sound that you can’t get from many other products. Bose products are known for surprising consumers, and this speaker is no different. Despite its tiny size, this speaker delivers exceptional sound quality. To make pairing with your favorite Bluetooth device even easier, this speaker uses voice prompts. With a rechargeable lithium-ion battery, it can give you eight hours of music on a single charge. It can be connected to a smartphone or similar device. The Bose SoundLink has source, volume and power buttons, and it’s a top choice for the home office or studio. Since it’s made with an auxiliary input, it can be connected to a variety of audio devices. It can be charged with most USB power sources and includes a wall charger. The micro USB port makes it easy to charge and manage software updates. 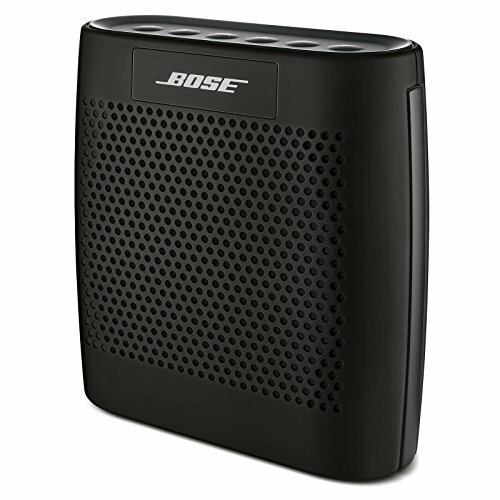 The Bose SoundLink is designed to have everything needed for high-quality sound in the office or on the go. Here we have another affordable Bluetooth speaker, and it’s engineered to deliver amazing stereo sound. It features 20-watt acoustic drivers and uses advanced technology for bass enhancement. With a built-in rechargeable battery, the DKnight Big MagicBox can play audio for up to 12 hours. It has a built-in microphone and can be used for hands-free calling. It’s one of the only Bluetooth speakers that makes it easy to pair your devices and doesn’t require a special PIN code. The DKnight Big MagicBox uses the latest Bluetooth 4.0 technology, and it’s compatible with all types of Bluetooth devices. However, the devices must be running Bluetooth 2.1 or greater. If you have a device that isn’t equipped with Bluetooth technology, you can still connect it to the DKnight Big MagicBox using the 3.5mm auxiliary jack. With two 20-watt acoustic drivers, this tiny speaker delivers audio across the entire spectrum, and it even has a dedicated bass port. Many consumers don’t have several hundred dollars to spend on a Bluetooth speaker, and for these individuals, the Neojdx Maven is worth considering. Since it uses Bluetooth 4.1, it can stream everything, and it’s commonly used for Spotify media, podcasts and music. You can use it to stream audio from your Apple IOS, Mac, Android or PC. It delivers rich stereo sound and can be used in the office, home or studio. The Neojdx Maven is equipped with the technology to read U disk, TF and SD cards. For greater versatility, it also has USB and AUX ports. For those times when you want to listen to a specific show, it’s equipped with an FM radio receiver, and you can use the speakerphone for calling. The rechargeable battery inside of the Neojdx Maven can provide 24 hours of sound, and it requires minimal time for recharging. 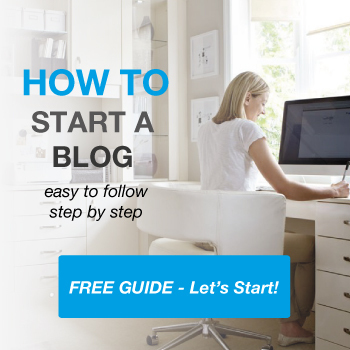 No code is needed to pair the device, which makes it a convenient product to use. If you’re looking for one of the most stylish speakers on the market, the Zhicity wired Bluetooth speaker is a product worth considering. It offers some of the strongest bass that you can get from a small speaker, and it’s specifically designed for use in a home office or studio. With a huge built-in passive radiator, the Zhicity wired Bluetooth speaker delivers an enormous amount of bass, and it has one of the best designs of any small speaker. This speaker is styled in a way that allows it to match most pieces of furniture, and it can serve as a functional decoration for your office or studio. The fluent body line makes it look great from any angle, and it’s made with a simulation wooden shell. The ABS construction is strong, durable and stylish, and the wooden pattern is stylish enough for any computer desk. The Zhicity wired Bluetooth speaker isn’t designed to be portable, which makes it a great choice for your home office or studio. 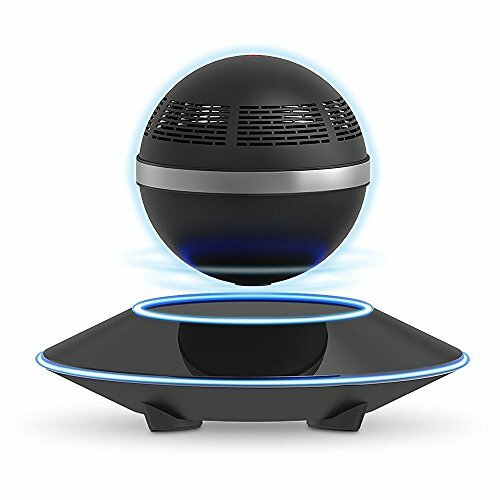 The ZVOLTZ Levitating Speaker is one of the coolest Bluetooth speakers on the market, and it delivers 3D sound while levitating in the air. It has a 5 watt Hi Def speaker, a built in mic for taking calls and the levitation is used to ignite your senses. The ZVOLTZ Levitating Speaker is equipped with a stylish LED lighting effect, which helps to create an ambience whatever your environment. It features Bluetooth 4.0 technology and can be paired with most devices. The ZVOLTZ Speaker can play music through iTunes, Spotify, Pandora and Google Play, directly from any paired Bluetooth device. Since it’s a small speaker, it features a lightweight, portable design, with a built in rechargeable battery. It might be hard to believe, but there are some great speakers under $50, and the Anker SoundCore is one of them. Despite the smaller size, this speaker offers exceptional sound quality. With a pair of high-performance audio drivers, the Anker SoundCore provides full-bodied stereo sound, and it features a unique spiral bass port. For optimal fidelity and clarity, this speaker has been engineered for less than one percent total harmonic distortion. On a full charge, the battery will last for 24 hours, and the built-in Li-ion power bank is designed to charge quickly. 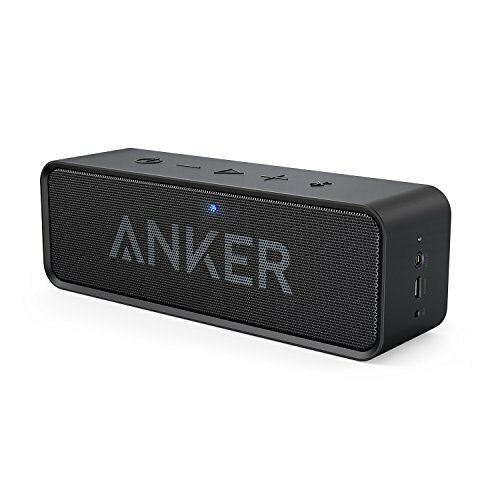 The Anker SoundCore uses Bluetooth 4.0 and can be used with most devices. It can be instantly connected to your smartphone and has a range of 66 feet. It even has technology that allows it to automatically connect to the last device that it was paired with. The Anker SoundCore uses a spiral bass port to deliver a tight, crisp bass response. When compared to many other Bluetooth speakers, it suffers from significantly less harmonic distortion, and its pair of performance drivers provide real stereo sound.